For nearly a decade, interest rates have been historically low but an end of an era is looming on the precipice. The Federal Reserve is set Wednesday to raise rates for the first time since 2006. This decision "with markets prepared for initial 25 basis point "lift off" that would move the Fed's target rate from the zero lower bound to a range of between 0.25 and 0.50 percentage points". 90% of economists projected the federal fund rates to be 1. to 1.25 by the end of 2016 and 2.25% by the end of 2017. We all know that this was coming eventually but now this inevitable rate hike proves that America has definitely overcome one of the biggest recessions in the last 50 years. Because employment has been falling steadily throughout the last year, there's been less justification for a crisis area policy. However, not all federal policymakers feel that this is a positive step in the right direction. Some feel that the economy is still too weak to successfully carry on on its own. Lower employment has boosted wage and price growth which is always a good thing. Wages and prices are clearly growing too slowly, however. Almost all economists project that the Federal Reserve will raise the benchmark interest rate and it could prompt a rise in the 30-year mortgage rate in 2017. The average cost of a 30-year mortgage is 3.95% for the week ending December 10. But chief economists at the National Association of Realtors project the rate to rise to 4.5% by the end of next year. This would still undercut the tenure average of 4.87%. When these mortgage rates rise, and it really is a matter of when buyers of lower-end homes may be more sensitive to the change then people seeking luxury estates. 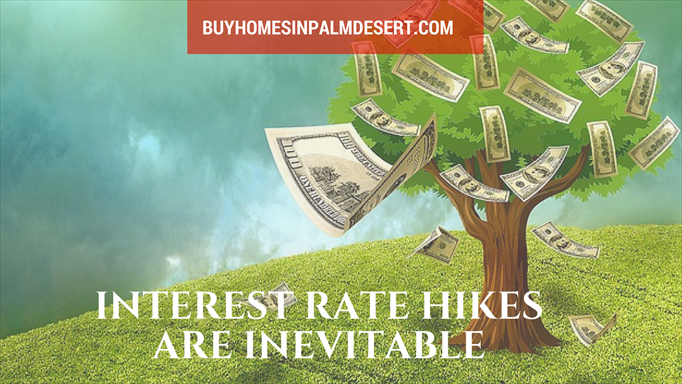 53% of potential homebuyers looking at properties worth over $1 million so that the mortgage rates were either important or very important in their decision whereas 71% of those looking for homes at $250,000 or less felt it was important to very important. If you're interested in starting the home buying process feel free to give me a call at any time.I have lenders that can get the process started for you and we can find out what homes meet your search criteria and budget in the Palm Desert real estate area.